The U.S. Supreme Court on Thursday temporarily blocked Louisiana from implementing an abortion clinic regulation that was enacted four years ago but has been mired in a court battle since. In a 5-4 decision, with Chief Justice John Roberts as the swing vote, the justices granted the appeal in June Medical Services, LLC v. Gee, which prohibits Louisiana from implementing Act 620, the Unsafe Abortion Protection Act, that requires abortion providers to have admitting privileges at a hospital within 30 miles of where they perform abortions. The law would have gone into effect on Monday. Supreme Court Justices Samuel Alito, Neil Gorsuch, Clarence Thomas, and Brett Kavanaugh formed the minority that would have denied the appeal to keep the law from going into effect. In his dissent, Kavanaugh wrote that the abortionists challenging the law have not sufficiently shown that they would be denied admitting privileges if the law took effect. “In order to resolve the factual uncertainties presented in the stay application about the three doctors’ ability to obtain admitting privileges, I would deny the stay without prejudice to the plaintiffs’ ability to bring a later as applied complaint and motion for preliminary injunction at the conclusion of the 45-day regulatory transition period,” wrote Kavanaugh. 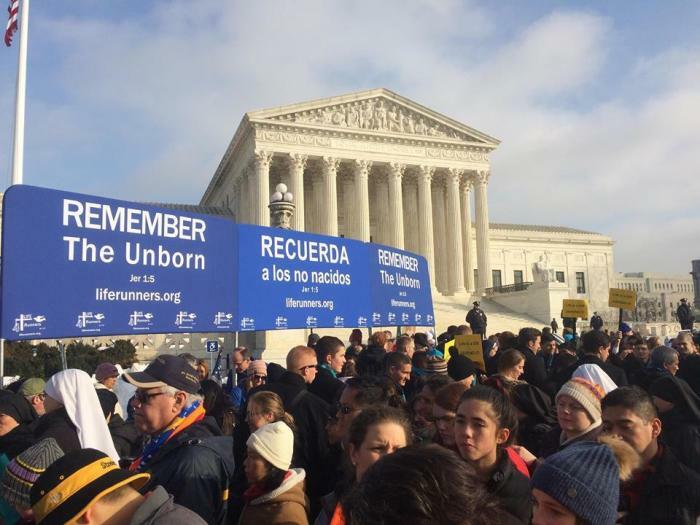 Pro-life activists, including Americans United for Life President Catherine Glenn Foster, expressed disappointment in the Supreme Court’s decision. “Americans United for Life is disappointed that a bare majority of Supreme Court Justices continued to stay the enforcement of a commonsense safety measure that will protect Louisiana’s women from substandard abortion practitioners,” said Foster in an email to supporters. The Center for Reproductive Rights, a pro-choice organization that filed the June Medical Services lawsuit in 2017, took to social media to celebrate the court's decision. “The Supreme Court stepped in to protect our rights by blocking a clinic shutdown law just hours before taking effect in Louisiana. Next, we will ask it to hear our case and strike down the law for good,” tweeted the Center on Thursday. Last September, a three-judge panel of the U.S. Court of Appeals for the Fifth Circuit upheld the Louisiana law and then the full court declined to reverse the decision, leading the plaintiffs to file an appeal to the Supreme Court.